Big Fish Little Fish is a concept fresh from the UK, and it’s hitting the Gold Coast on Saturday. Co-ordinator Stuart Mattheson says his own family love music and having fun together, and his kids couldn’t be more stoked to have their very own rave AND Daddy DJ! 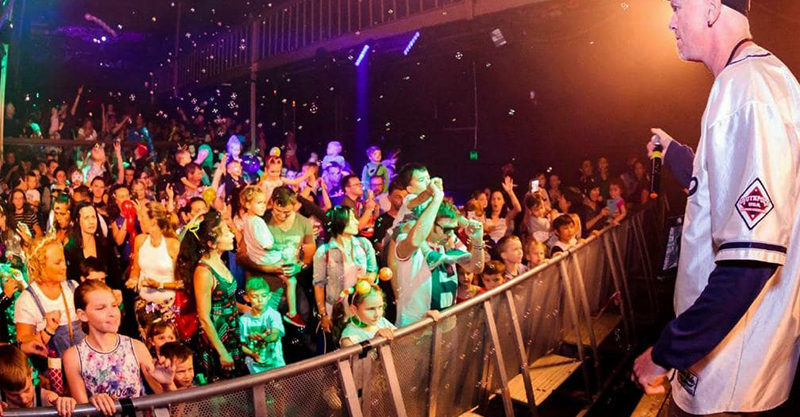 The Gold Coast rave follows the huge success of Big Fish Little Fish events in Brisbane, Sydney, Melbourne and beyond. This weekend’s dance party is in a grown-up nightclub, but the venue has some minor adjustments to ensure everyone is happy and safe. The music is played at a level that suits little ears and there are extra activities – hello ball pit, face-painting, chill out room and craft area! – guaranteeing everyone is kept busy and beaming. Adults are only allowed entry if they are accompanying a child, and the party – which has an Under The Sea theme – runs for three hours. That’s just enough time to burn up the dance floor, pop some bubbles and make some craft/new friends, we think! You can find out more or book tickets at Big Fish Little Fish Australia’s Facebook page. Be quick though. These events are a sell-out in other cities.